It's like he's alive! 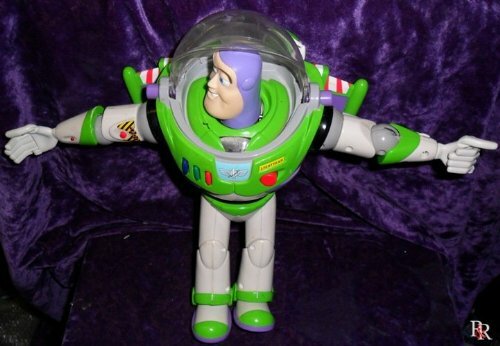 You and Buzz make a great team! From blastoff to touchdown, from Mercury to Pluto, Buzz "knows" where he's going. He lets you know he's flying... he lets you know he's landed... he even lets you know when he's upside down... His sensors tell him every move you make. He'll steer you in the right direction as you both head off to the Gamma Quadrant! Chasing down evil aliens, protecting galactic civilizations, exploring new frontiers... Together you can go anywhere!